The Heras Acoustic Barrier is our latest sound absorbing innovation. Developed to combat noise pollution on construction sites, the Heras Acoustic Barrier is used to screen off noise by fitting our specially developed sound absorbing barrier quickly and easily onto our HSG151 compliant round top mesh panel. 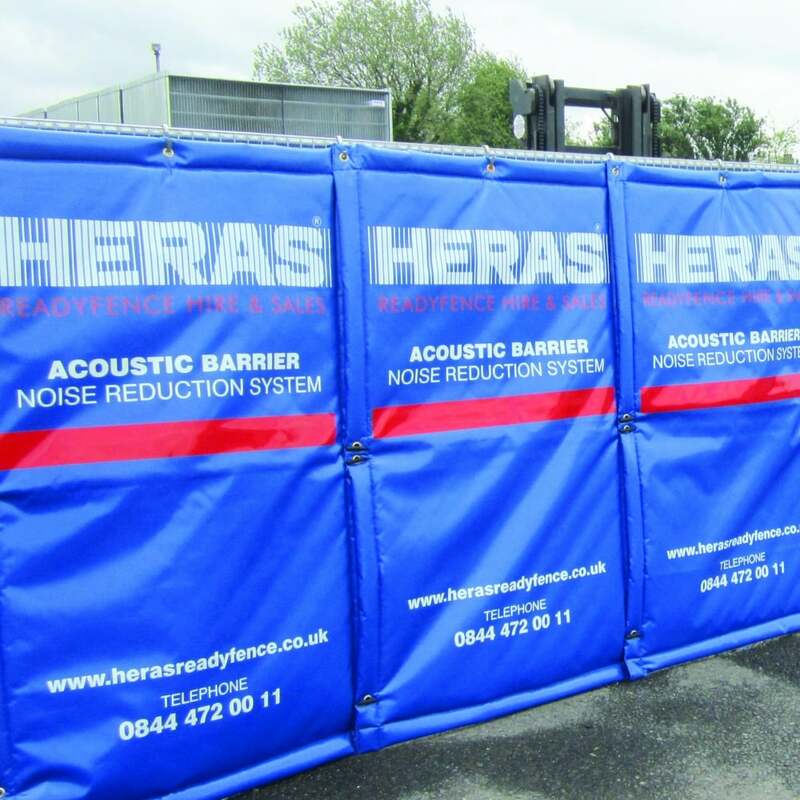 Providing a safe environment for your construction site, the Heras Acoustic Barrier also helps to demonstrate a commitment to corporate social responsibility by using a product that helps to combat noise pollution. It has been developed using a composite of fibres that both absorbs and controls noise. When noise is generated on site, the Heras Acoustic Barrier membrane will absorb noise and reduce the degree of noise pollution. Independent testing has shown that the Heras Acoustic Barrier can deliver up to a 30dB noise reduction and is great for city centre construction sites, scaffolding sites, rail and road side.